NASA’s Curiosity rover usually keeps its instruments firmly focused on Mars’s ground, zapping grit with its laser or drilling cores in bedrock. But every few days, the SUV-sized robot, like any good dreamer, shifts its sights upward to the clouds. Well into its fifth year, the rover has now shot more than 500 movies of the clouds above it, including the first ground-based view of martian clouds shaped by gravity waves, researchers reported here this week at the Lunar and Planetary Science Conference. (Gravity waves, common atmospheric ripples on Earth that result from air trying to regain its vertical balance, should not be confused with gravitational waves, cosmological ripples in spacetime.) The shots are the best record made so far of a mysterious recurring belt of equatorial clouds known to influence the martian climate. It’s been more than four years since NASA’s Curiosity rover landed on Mars, enabling researchers to study the shape and composition of the planet’s landscape in a mission that had originally been planned to last less than two years. Even as the rover’s instruments begin to show signs of wear and tear, however, scientists are still making discoveries. 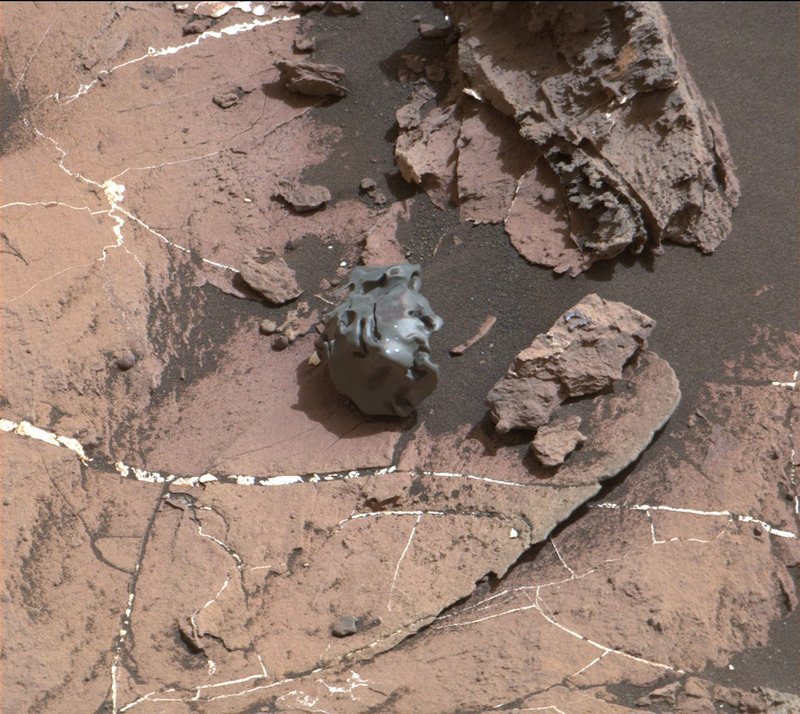 For the first time on Mars, researchers used a spectrometer to zap an object the size of a golfball with a laser this week to confirm that it is an iron-nickel meteorite that fell to the planet’s surface, according to NASA and the Jet Propulsion Laboratory. Although such objects are common on Earth and to be expected on the Red Planet as well, studying them in tandem with what we already know about the planet’s atmosphere could reveal a wealth of new information about the history of the solar system. Horton Newsom, a researcher from the University of New Mexico, Albuquerque, said the object, known as Egg Rock, could carry within its core information that differs from asteroids currently being studied. This view from the Mast Camera (Mastcam) on NASA’s Curiosity Mars rover shows a hillside outcrop with layered rocks within the “Murray Buttes” region on lower Mount Sharp. Curiosity took the images with its Mast Camera (Mastcam) on Sept. 8. The rover team plans to assemble several large, color mosaics from the multitude of images taken at this location in the near future. 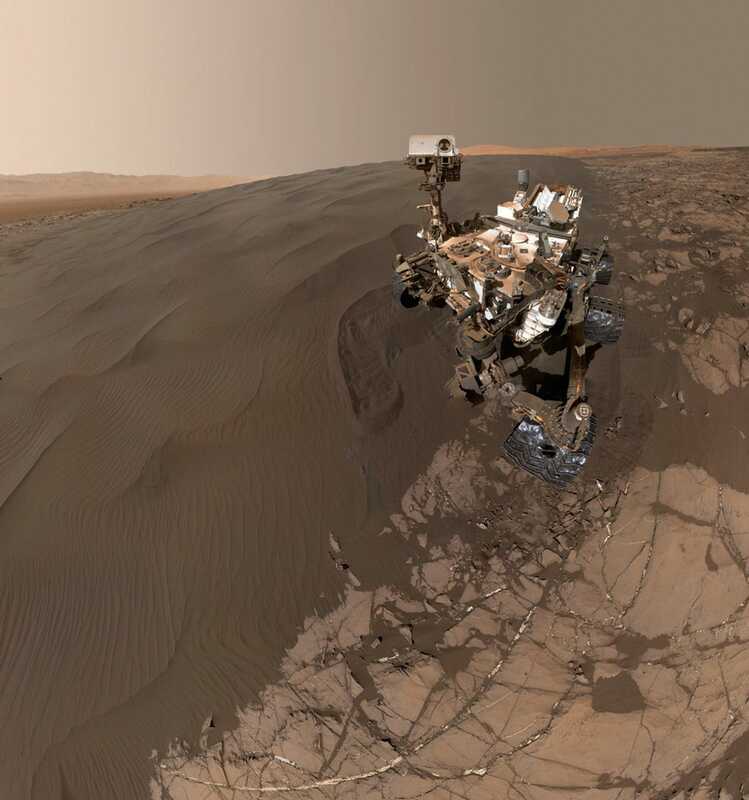 “Curiosity’s science team has been just thrilled to go on this road trip through a bit of the American desert Southwest on Mars,” said Curiosity Project Scientist Ashwin Vasavada, of NASA’s Jet Propulsion Laboratory, Pasadena, California. NASA’s Curiosity rover completed its second Martian year – 687 Earth days – on May 11, meaning that its instruments have now tasted the red planet’s tendencies for two full orbits of the sun. This allows scientists to begin separating unique events from those that recur year by year, laying the foundation for an understanding of seasonal variations in a host of different characteristics. The fresh insights come at a time when talk of a manned mission to Mars is edging away from the arena of science fiction and towards the realm of human endeavor. This is Curiosity’s latest selfie in Bagnold Dunes, composed of 57 different photos captured on January 19. To test the sands, the rover recently dug one of its 20-inch wheels into a nearby dune. You can see the tire marks in the center. NASA has posted a Facebook 360 video taken by the Mars Curiosity rover from the surface of Mars that Mark Zuckerberg himself re-posted and called “neat.” (A one ton, nuclear buggy takes takes a panoramic video from Mars that you can view in a VR headset, and all you got is “neat?” Get a thesaurus, Mark!) Zuckerberg added that the video was stitched together by Facebook’s 360 degree video team, and is made up of 57 separate stills — in fact, it’s more like a panorama than a video. The images were snapped by the rover’s robotic arm-mounted Mars Hand Lens Imager (MAHLI) on the northwestern flank of Mount Sharp, and show the steep Namib sand dunes. For the first time in nearly 30 years, the U.S. Department of Energy has produced a sample of plutonium-238, the radioactive isotope used to power deep space missions, good news for future NASA space probes heading to destinations starved of sunlight. 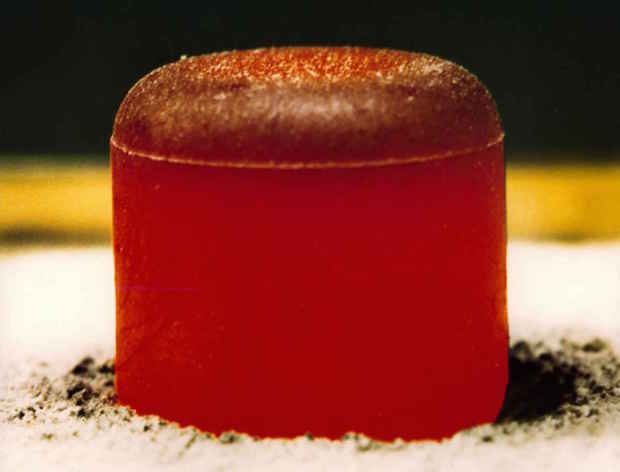 The 50-gram (0.1-pound) sample is a fraction of the plutonium needed to fuel one spacecraft power generator, but the Energy Department said the material represents the first end-to-end demonstration of plutonium-238 production in the United States since 1988. The DOE made the new batch of plutonium-238 at Oak Ridge National Laboratory in Tennessee. Sebastian Voltmer in Germany used the iTelescope at Siding Spring Observatory, Coonabarabran, New South Wales, Australia to capture Comet C/2013 A1 passing very close to Mars on 19 October 2014. He used their Takahashi FSQ ED refractor and SBIG STL11000M camera for four 120-seconds exposures; RGB 120-seconds (Bin 2). Image credit: © Sebastian Voltmer. 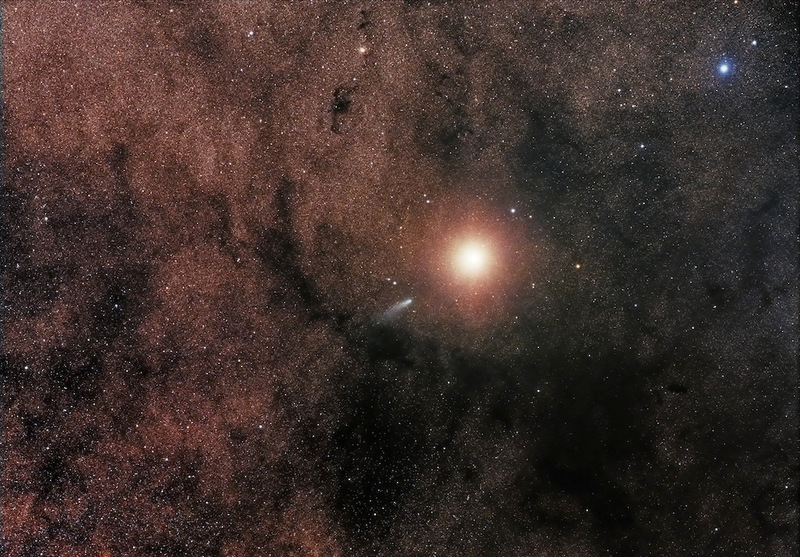 Comet Siding Spring’s close shave by Mars last year provided a rare glimpse into how Oort Cloud comets behave, according to new research. In just a short flyby, the comet dumped about 2,200 to 4,410 lbs. (1,000 to 2,000 kg) of dust made of magnesium, silicon, calcium and potassium — all of which are rock-forming elements — into the upper atmosphere, the new study found. Did Mars once have rivers? Pebbles say yes. Researchers have used the shape of rounded Martian pebbles to extrapolate how far they must have traveled down an ancient riverbed on the Red Planet. The analysis suggests they moved approximately 30 miles (50 kilometers), indicating that Mars once had an extensive river system. The shape of some Martian pebbles suggests these rocks once rolled dozens of miles down a river, hinting that ancient Martian waterways were stable and not merely ephemeral streams, researchers say. NASA’s Mars rover Curiosity discovered the small, round stones near its landing site in Gale Crater on the Red Planet in 2013. Researchers previously determined that these stones resemble those found in rivers on Earth, which become round as they slide, roll and hop down riverbeds and scrape other rocks. Now, a new study suggests the Martian rocks rolled in the river for quite a while — a finding that should help scientists reconstruct what ancient Mars was like and shed light on the Red Planet’s past potential to support life, study team members said.